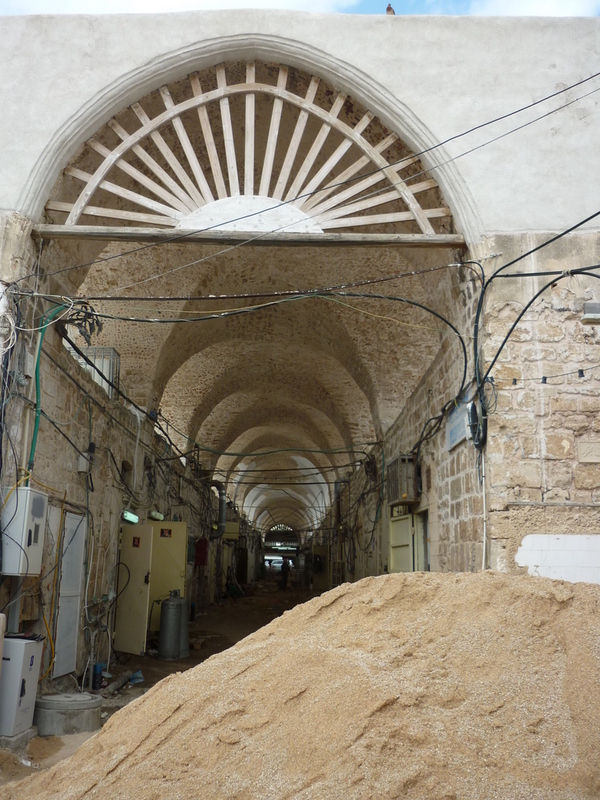 This beautiful arcade is what people imagine some of the most romantic parts of the Near East should looks like. 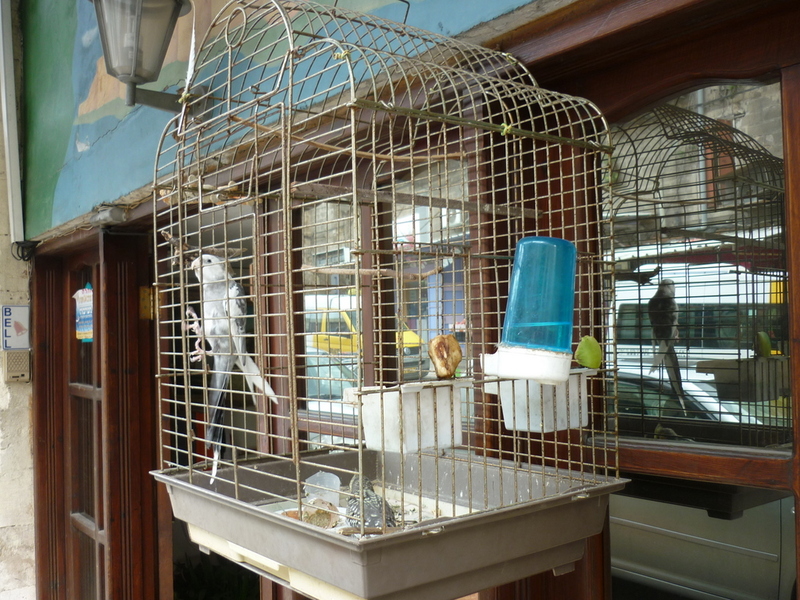 Canaries are a very popular pet among Arab people and the cages are often outside in a shop or above seating in outside cafe. Hello sir, can I help you? My name is Mustafa, I am just filling in today as the canaries are on holiday. Can I interest you some mint tea? 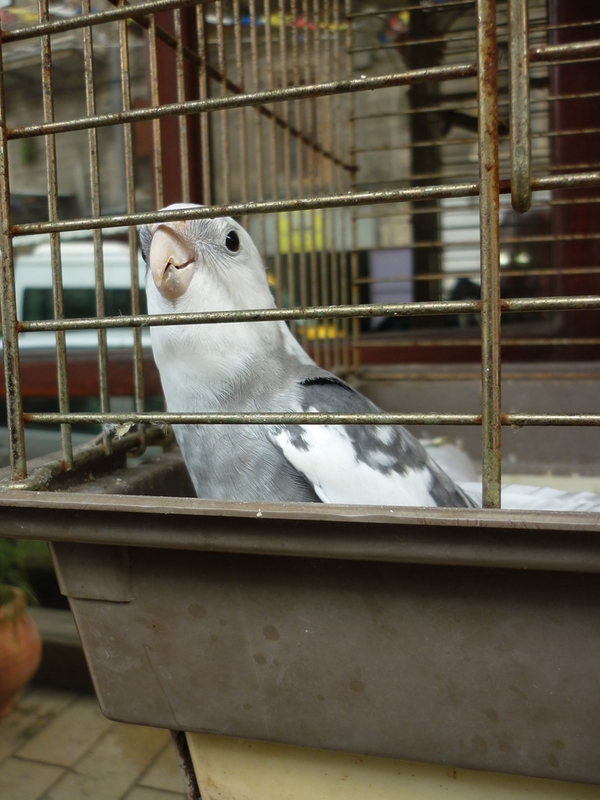 This little chap was one of the friendliest Cockatiels I have seen in a while, greeting me with song as a I walked past this shop. 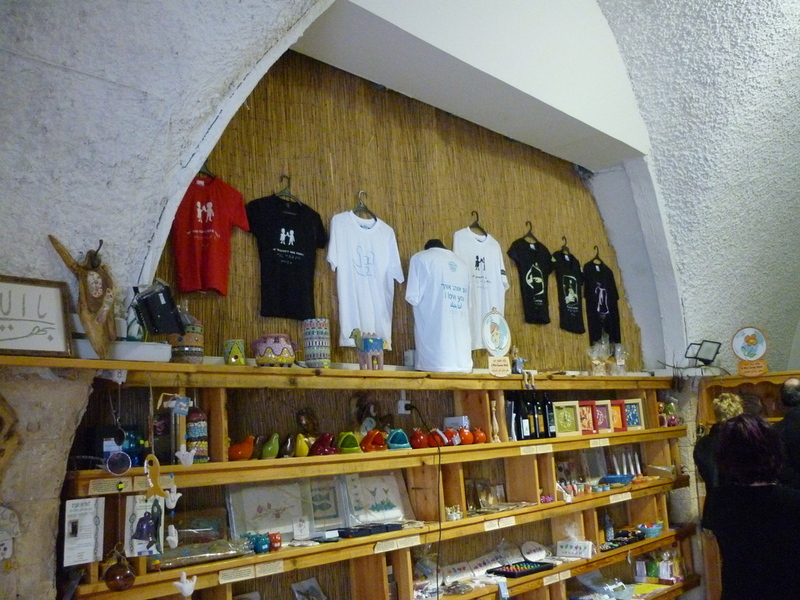 This shop is run by Arabs and Jews together raising money to help disabled people. The mottos on the Tshirts appear to be a bit suggestive but they are promoting using braille. I like the interesting character of what things people keep in their yard. 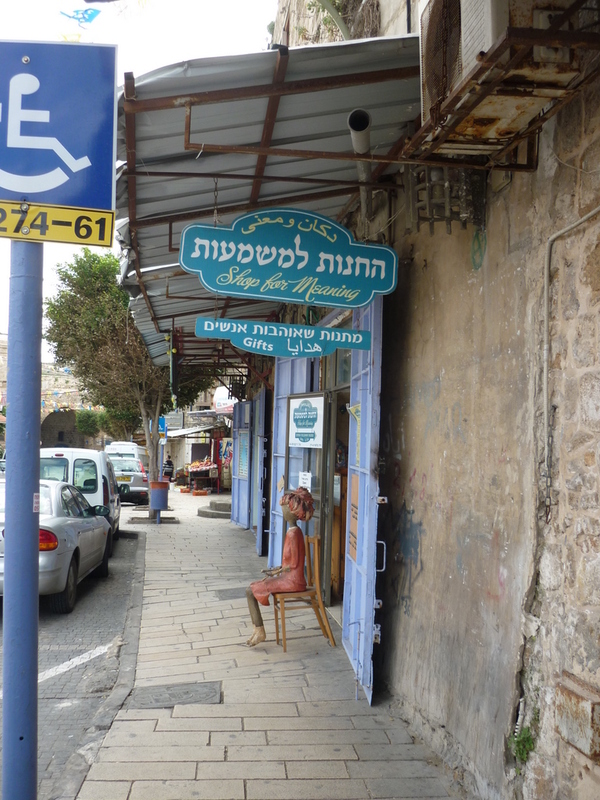 Just like Jerusalem you see all kinds of things, this is a shop selling statues. The juice stand with a bit of a twist. 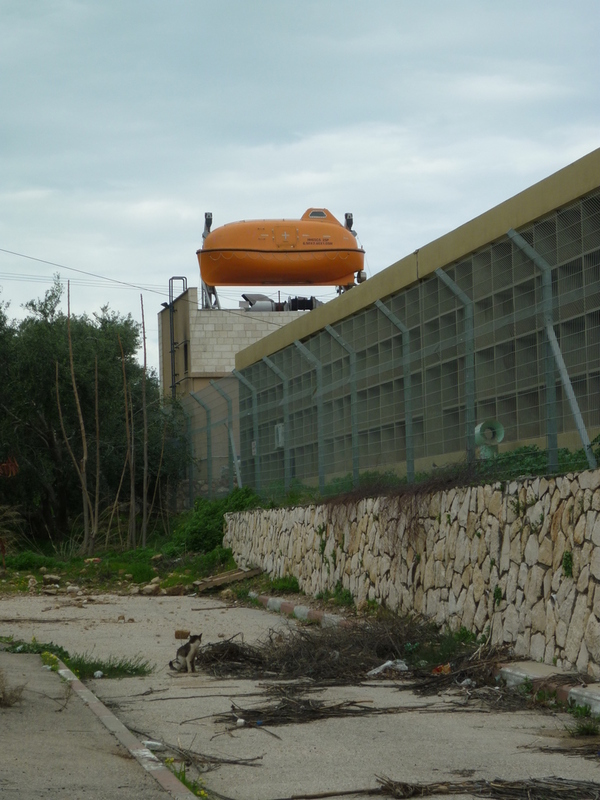 I am not sure if this is someone’s idea for a joke or a novel way to get a spare bedroom for guests to stay, but I saw this lifeboat (or is it a submarine?) complete with winch system ontop of a house! 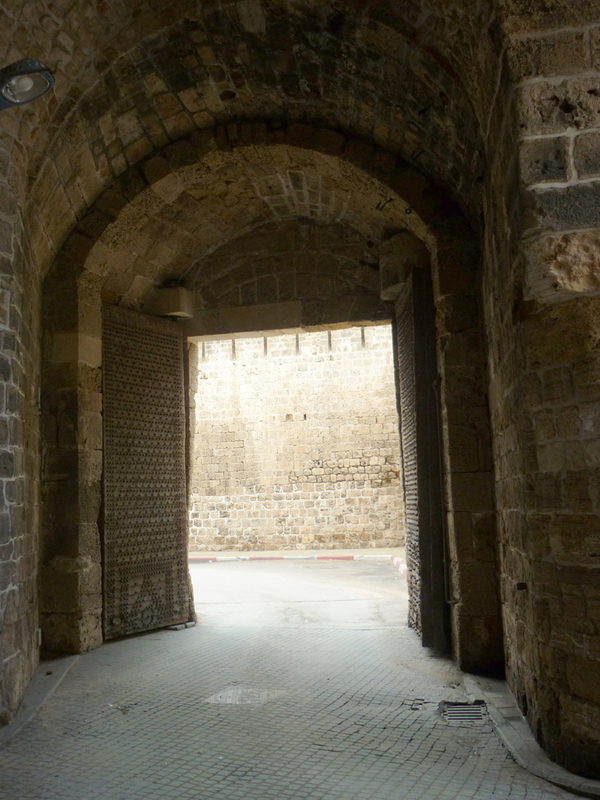 Next, some sad events in Akko….